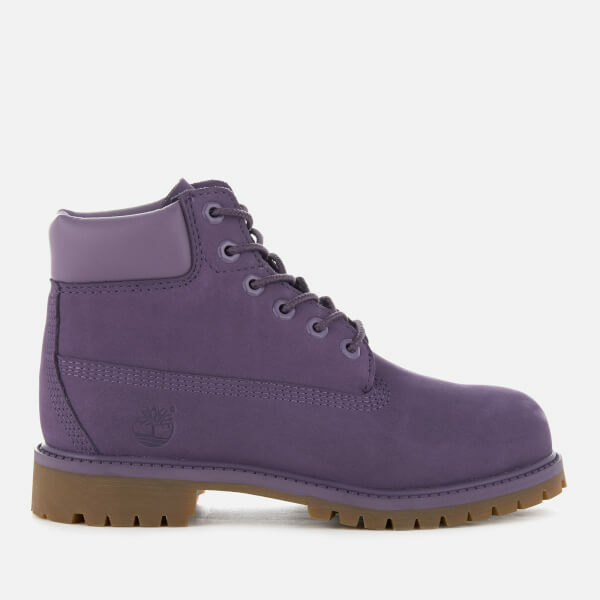 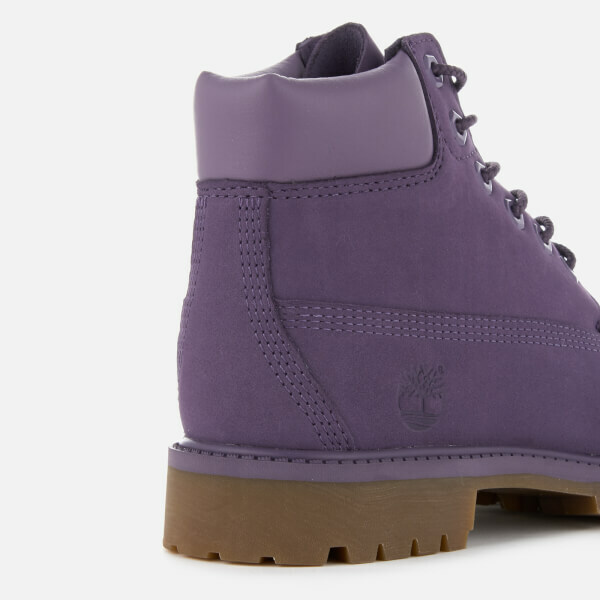 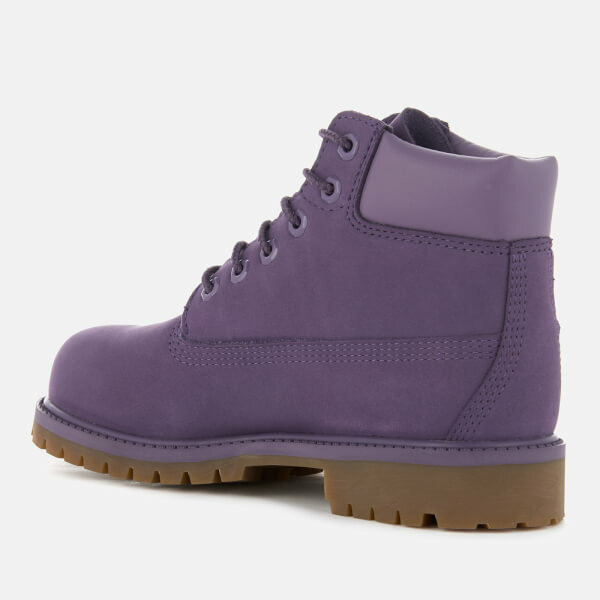 Kids’ purple nubuck 6-Inch boots from Timberland. 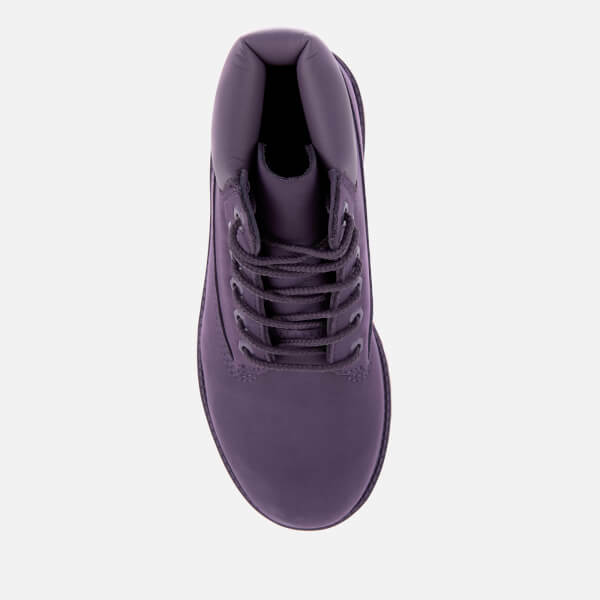 Crafted from premium full-grain nubuck, the iconic lace-fastened boots feature a specially treated, seam-sealed upper for complete wet weather protection. 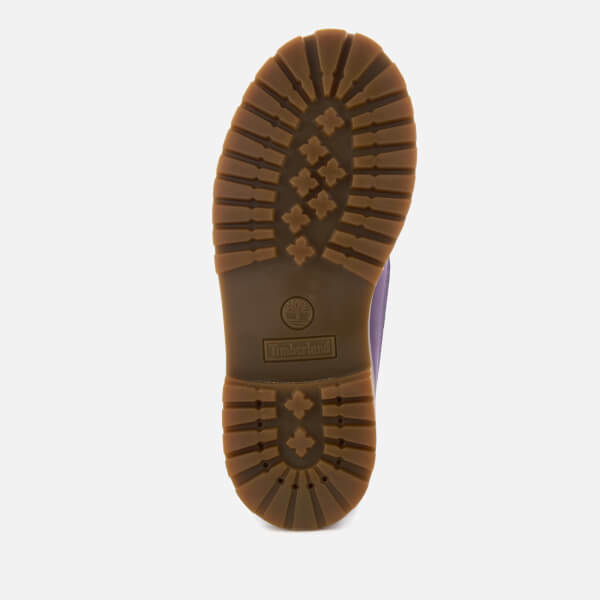 Set on a durable rubber lug outsole, the boots feature an EVA footbed for comfort and a steel shank for arch support. 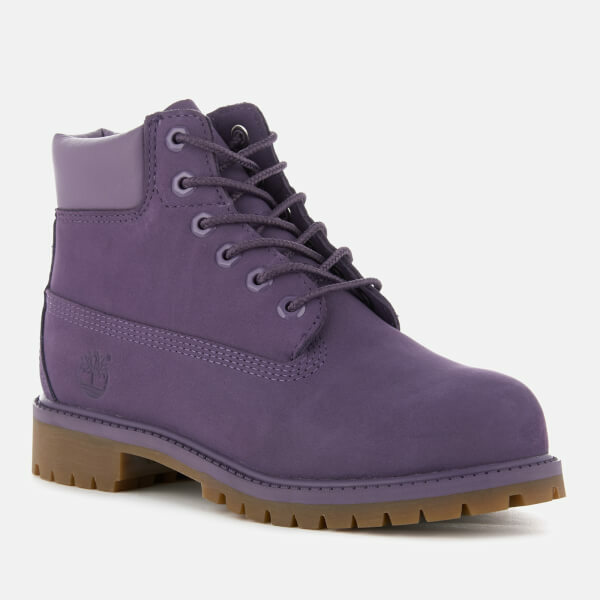 Complete with a padded ankle collar, tonal metal eyelets and signature embossed Timberland branding to the heel.